Cheaper to Own than Rent?. . . Maybe! How often have you seen that phrase? Real Estate Agents and Brokers have been preaching that for years. When is it really cheaper? Well, the answer might surprise you. When you choose to purchase a property for your business you need to properly evaluate different components of the investment. Suppose an office property is leasing at a rental rate of $20 per square foot full service. First, you need to break down the rental rate into base rent and the additional rents such as real estate taxes, common area maintenance (CAM), landscaping, repair and maintenance, janitorial and all of the other expenses necessary to operate the building. 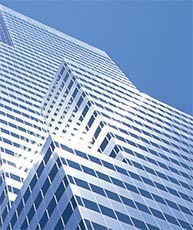 For Class B office buildings, operating expenses are approximately $8.50 per square foot. Therefore, the base rental rate or Net Operating Expense (NOE) per square foot is $11.50. Next, we need to capitalize the NOE at some market cap rate that adequately describes the risk of the tenant and the cash flows. If we assume that the rental rate will escalate 3% per year, then an appropriate capitalization rate may be 8%. Finally, we divide $11.50 / .08, and the result is $143.75 per square foot. When you purchase a property, you are hoping the property will appreciate in value over time. Therefore, we need to add an investment premium to the occupancy cost in order to arrive at a price you would be willing to pay for the property. Assuming the investment premium is $50 per square foot, that would infer a purchase cost of $143.75 + $50 = $193.75 per square foot. You would be indifferent to signing a long term lease of ten or more years at an initial rental rate of $20 per square foot or purchasing the property today at $193.75 per square foot. You’ve elected to purchase the office property and need to make a 20% down payment. What is the rate of return for the money invested? What are other investments yielding? Could this money be allocated to a safer and higher rate of return? If the before mentioned property is selling for more than $193.75 psf you lease and if it is selling for less you purchase. To discuss your various directions and opportunities, call for a confidential appointment. BUILD OUT AND TENANT IMPROVEMENTS can affect your analysis. For example, Medical build out can cost $60, $80 or more than $100 per square foot. These improvements cannot be easily moved from location to location. Do you want to leave $100K worth of improvements for the next tenant? RETAIL LOCATIONS. Many dollars may be spent on driving customers to your door. Moving even a few blocks away, may erode the goodwill and traffic you have accrued. In order to secure the location and protect the goodwill, purchasing may be a viable option. ONE PROPERTY MAY NOT SATISFY ALL.It may be possible that you have a low occupancy cost by leasing and acquire a second property for the investment portion. Net Lease Investment property can fill this void. The money you might invest in the down payment of your office could be invested in a Net Lease property and yield substantial returns at far less risk. You would have a strong credit tenant on a long term lease and have a property to occupy for your business at a substantial savings.